The Visiting Nurse Association of the Treasure Coast (VNA) is proud to announce Beverly Smith, CFRE as the non-profit home health and hospice agency’s new Director of VNA & Hospice Foundation. As a twelve-year veteran of the VNA & Hospice Foundation, Smith is well suited to fulfill her role as the organization’s leader. In her new role, she will be responsible for the management and direction of all aspects of the VNA & Hospice Foundation, the fundraising arm of the non-profit. “With almost twenty years of experience working with local non-profits and work experience strongly focused in the medical industry, Bev is amply qualified to lead the VNA & Hospice Foundation into the future,” said Kathie Pierce, VNA & Hospice Foundation Board Chairman. Smith began her career with the VNA & Hospice Foundation in 2006, working in an administrative role, eventually taking on additional, more event-focused responsibilities. She was recognized for her tremendous leadership skills and promoted to a management position. 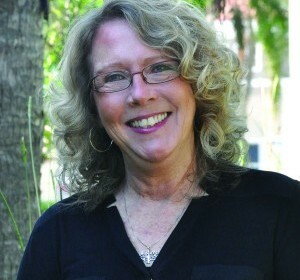 Smith earned her Certified Fund Raising Executive (CFRE) accreditation in 2015 and most recently acted as the organization’s Director of Donor Relations. Smith has been a member of the Association of Fundraising Professionals (AFP) International and Indian River Chapter since 2008. At the local level, she has held several leadership roles with AFP Indian River and has served on the board since 2010. Most recently, Smith was named chairman of the 2018 National Philanthropy Day, the chapter’s annual celebration to recognize those whose gifts of time, expertise, and resources have contributed significantly to the quality of life in Indian River County. For more information about the VNA & Hospice Foundation, visit www.vnatc.com.